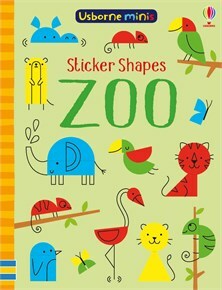 Create elephants, giraffes, meerkats, parrots and lots more using the colourful sticker shapes provided in this mini activity book. Follow the simple guidelines in each scene, then add details with a felt-tip pen. Part of a range of pocket-sized paperbacks perfect for journeys, rainy days and party bags.